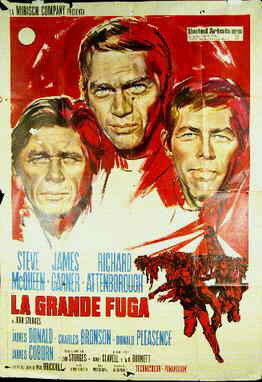 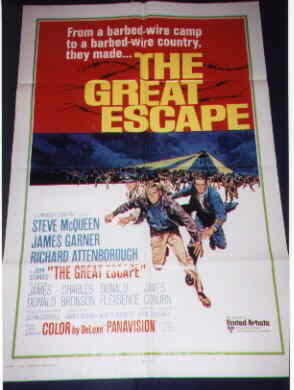 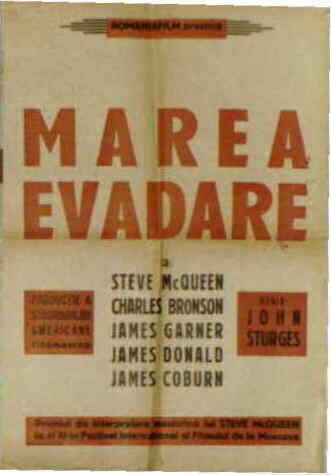 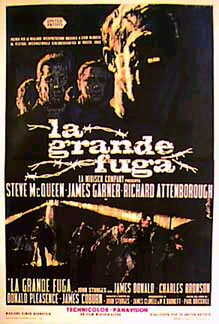 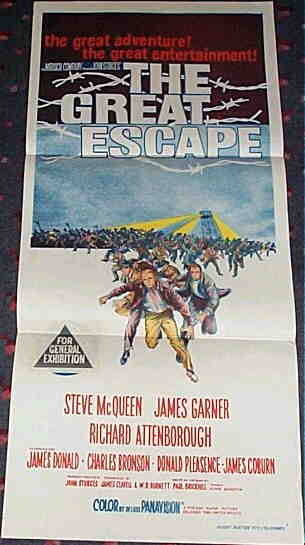 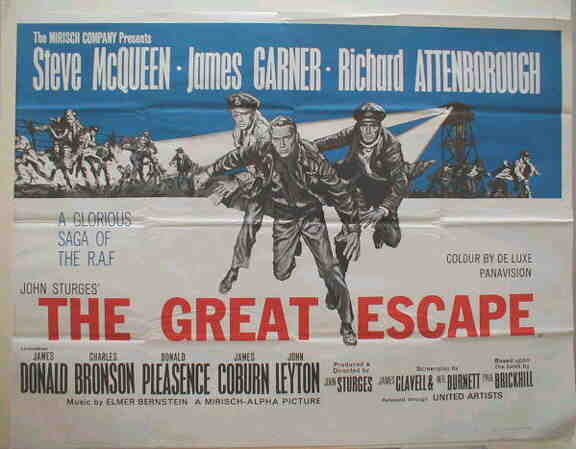 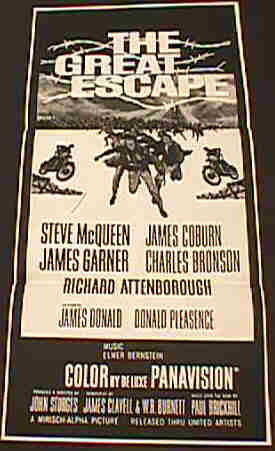 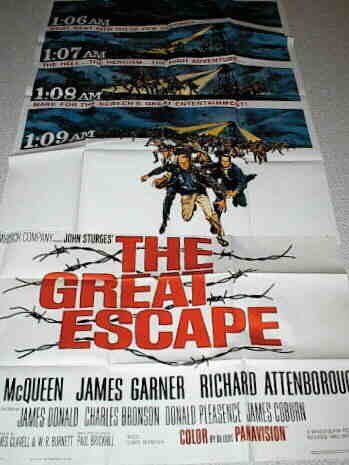 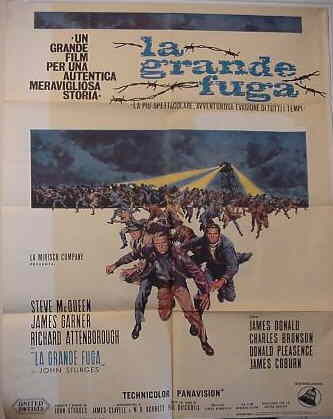 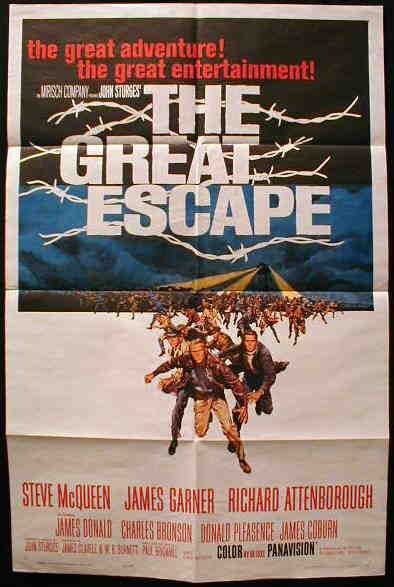 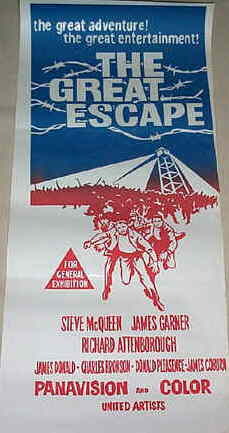 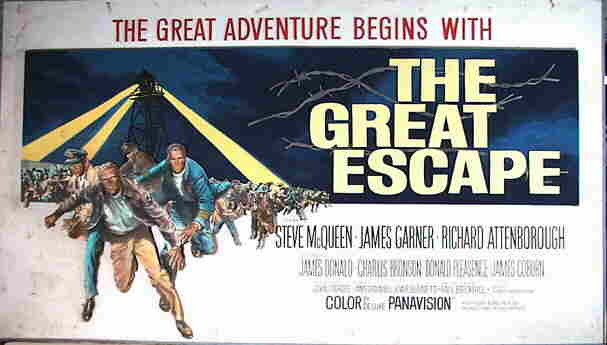 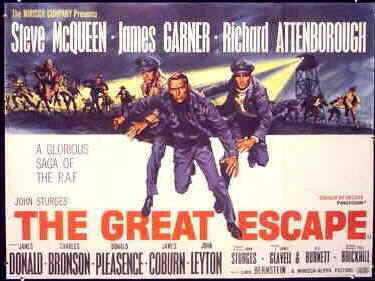 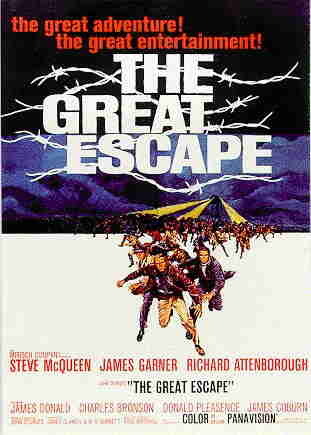 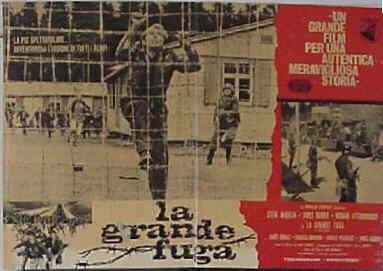 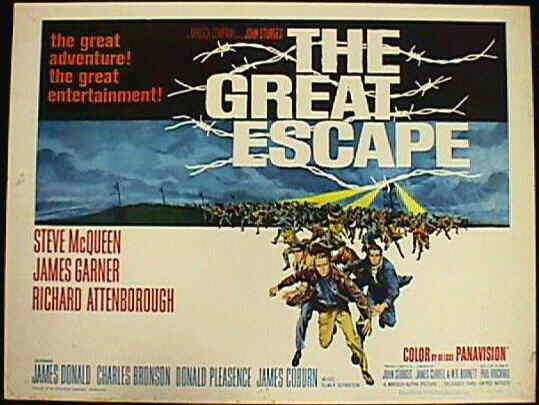 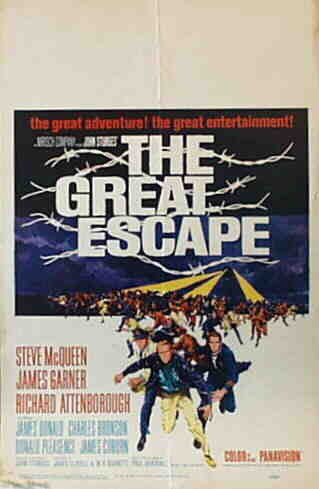 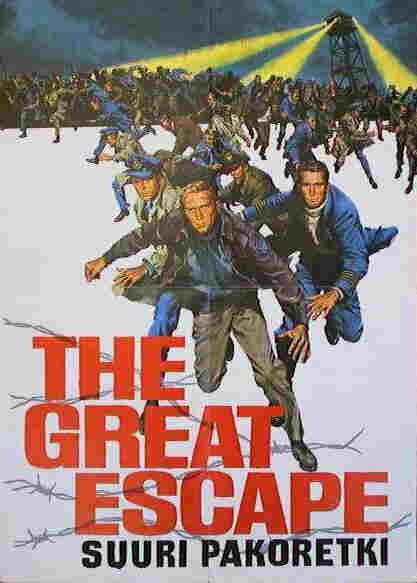 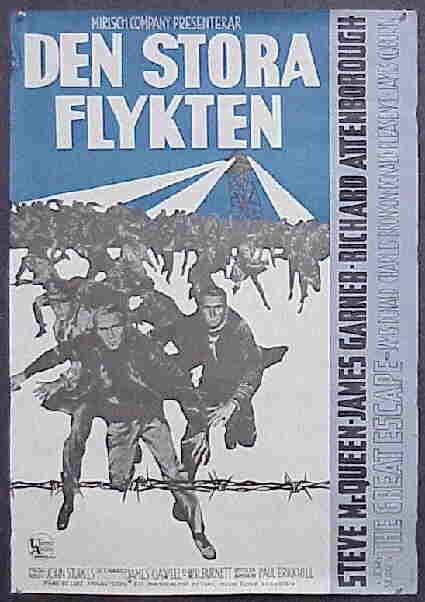 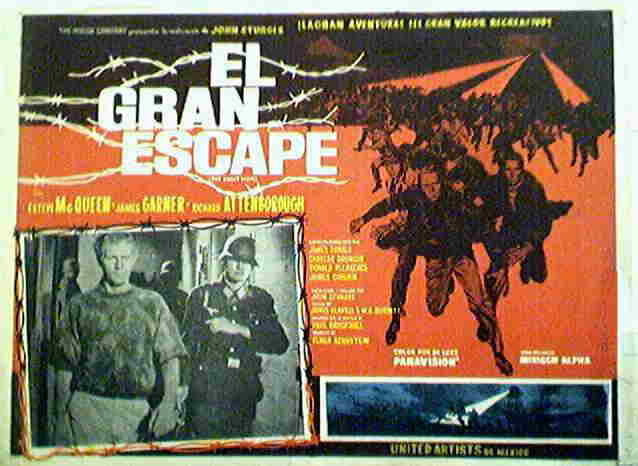 This poster differs from the previous one in the placing of the writing above Steve McQueen's name as opposed to the previous poster, which has it by the side of the word "The" in the title "The Great Escape"
It is interesting to note that on this Spanish reissue version of the poster, Richard Attenborough's head is replaced by that of Charles Bronson. 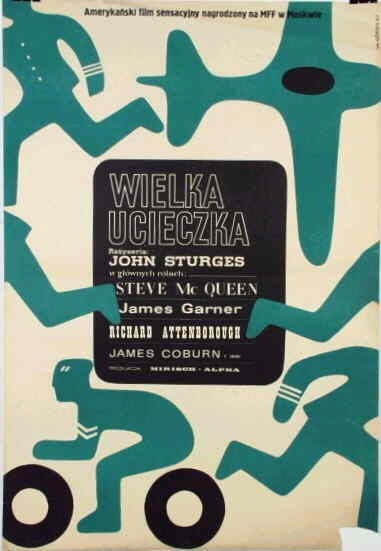 This is a most unusual poster. 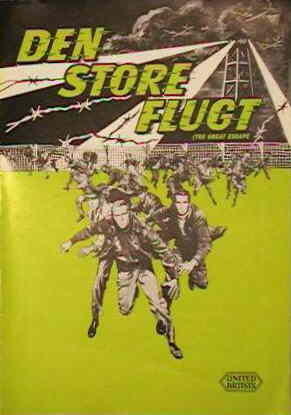 The bulk of it is in English with only the title (partially) changed. 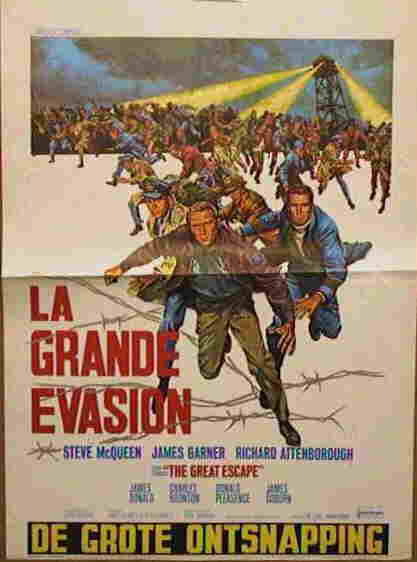 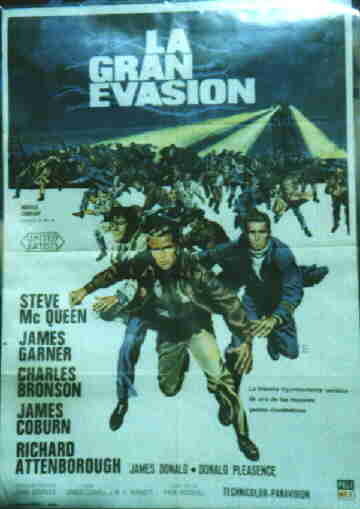 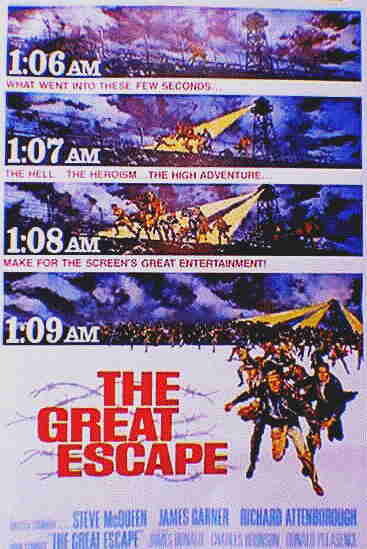 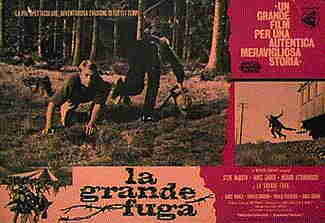 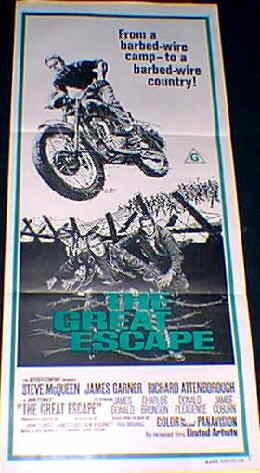 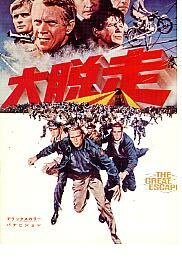 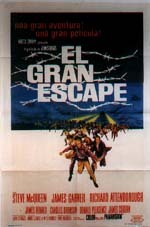 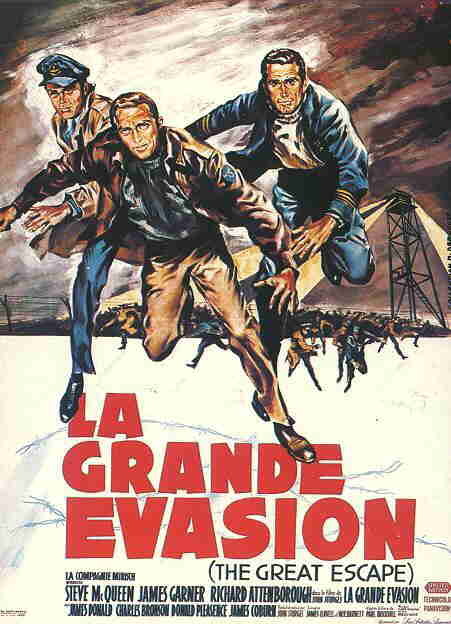 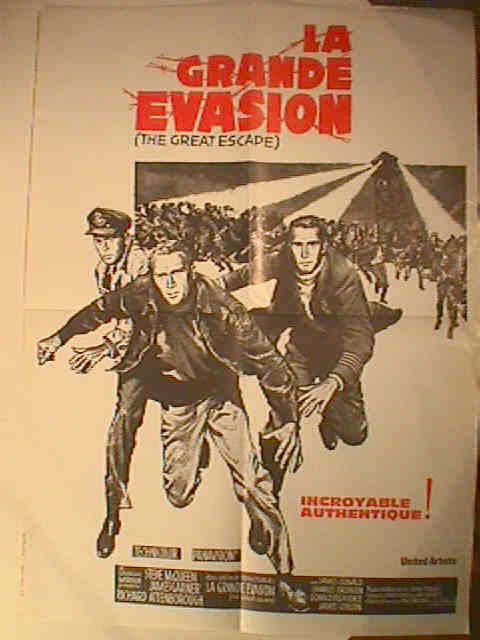 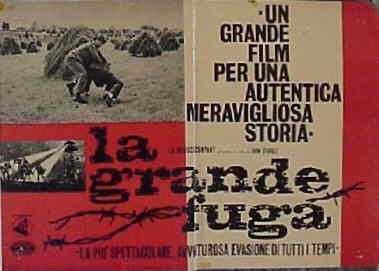 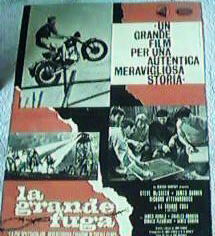 The Spanish reissue poster is entitled "La Gran Evasion" whilst this is entitled "El Gran Escape". 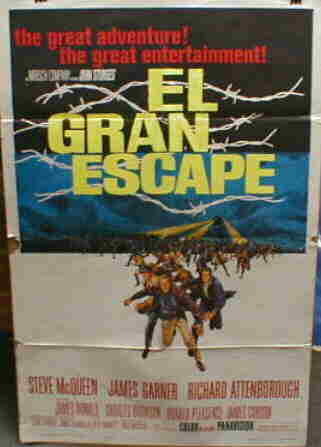 It is as if the US one sheet has merely had the words "The Great" painted out and replaced with the words "El Gran".